Click the play button below to listen to accompanying audio courtesy of Sean Tamblyn. 17 seconds after lift off, the first sign of sound was audible from where I was standing, the closest location for any living human being, 3 miles away. First a mild rumble and then an overwhelming and sustained roar. Near its peak, the air above us crackled with a tin-can-like note that had everyone's adrenaline pumping within 20 square miles. The ground shook with the exhilarating force akin to sitting atop a subwoofer at an IMAX theater. The heat pierced my skin as though I had just traveled closer to the Sun. 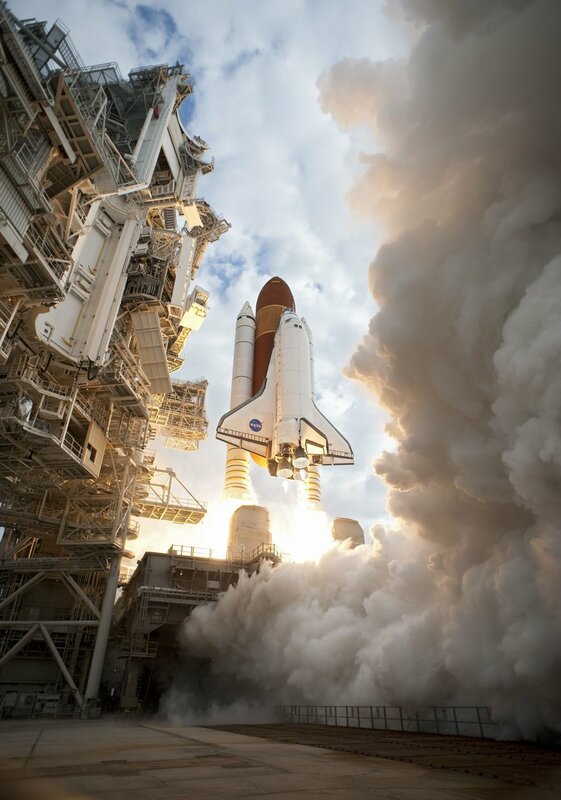 The explosion of light following directly behind the Shuttle was spectacularly bright and indescribably beautiful. For me, the light is what astonished the most. It was the brightest, most gorgeous gold you have ever seen. No image has ever captured it truly as it is and that's why it surprised me so much. I had seen hundreds of photos of the Space Shuttle and it's Solid Rocket Boosters (SRBs) under power, but none of them capture the true color. The flame wasn't yellow, it was distinctly gold. Imagine the brightest gold color possible and that's it. 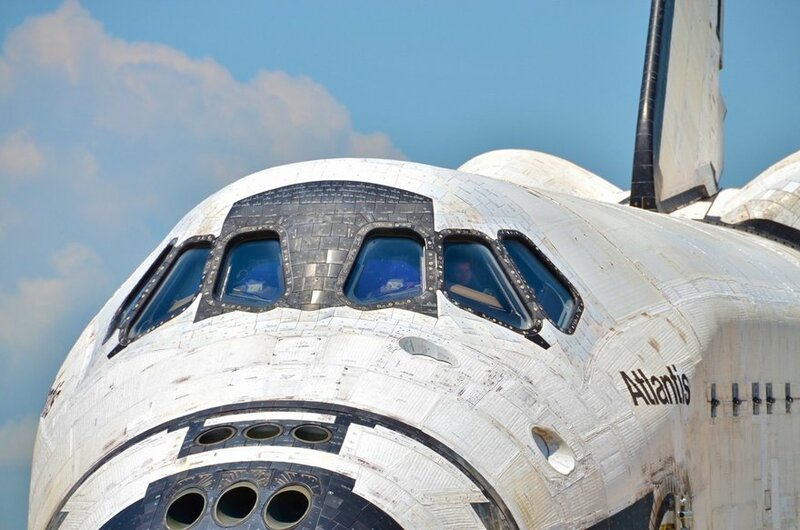 As the Shuttle disappeared through the clouds, like a kid after a thrilling ride at Disney World, I shouted "Let's do it again!" Then, I realized it was over. Not just that launch, but that I had just witnessed the last time a Space Shuttle will ever lift off for space again. It was done. Over. Never again. 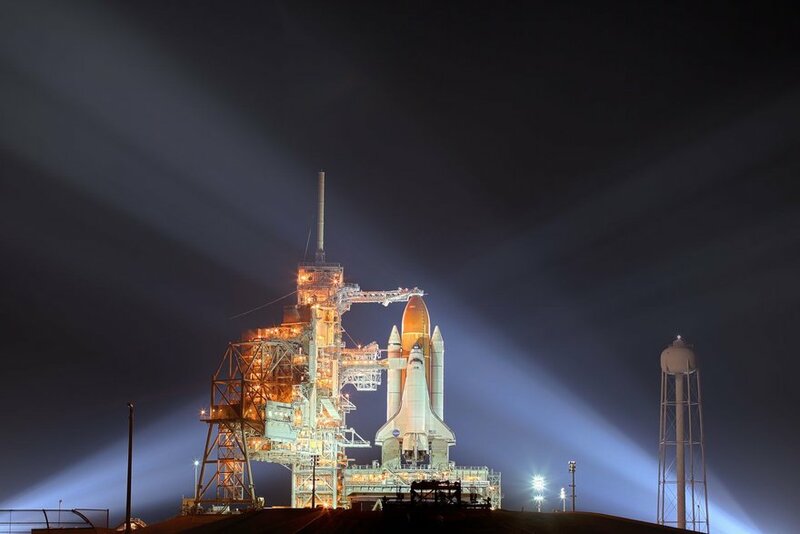 As the last Space Shuttle to fly soared into the sky, it penetrated every aspect of the physical and emotional consciousness and unequivocally abducted the imagination of all 1 million who stood and looked up from the Kennedy Space Center and surrounding areas for that brief moment in time. 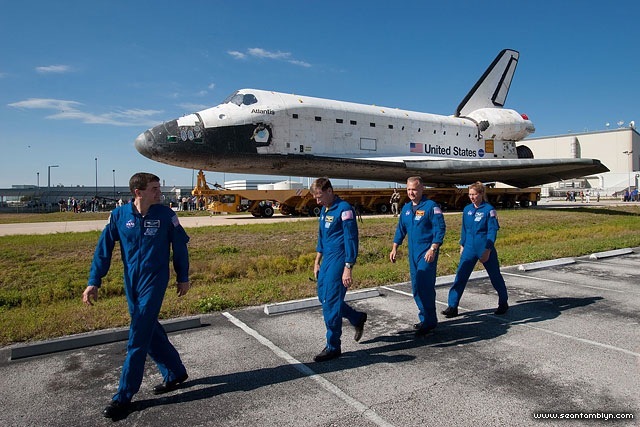 The 4 astronaut crew of STS-135 walk alongside Atlantis as she makes her way from the OPF (Orbital Processing Facility) to the VAB to be moved vertical and be fitted with an orange fuel tank and two SRB (Solid Rocket Boosters) one last time. Photographer: Sean Tamblyn. 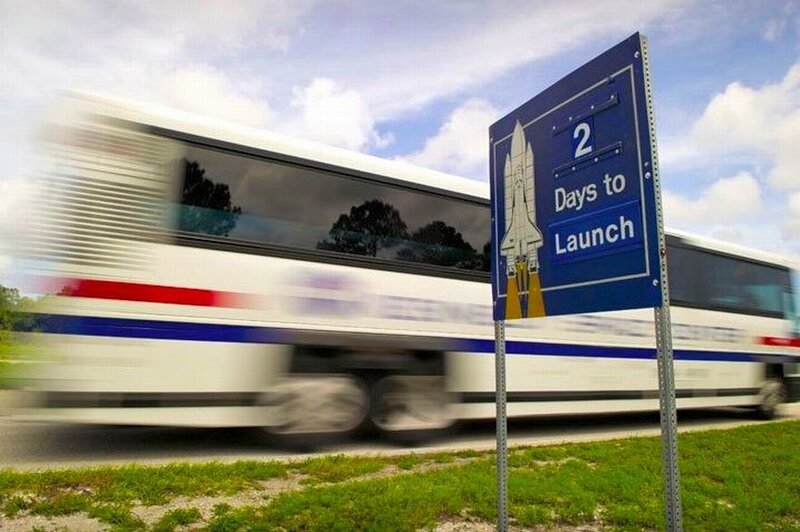 2 days to launch! Image credit: NASA. 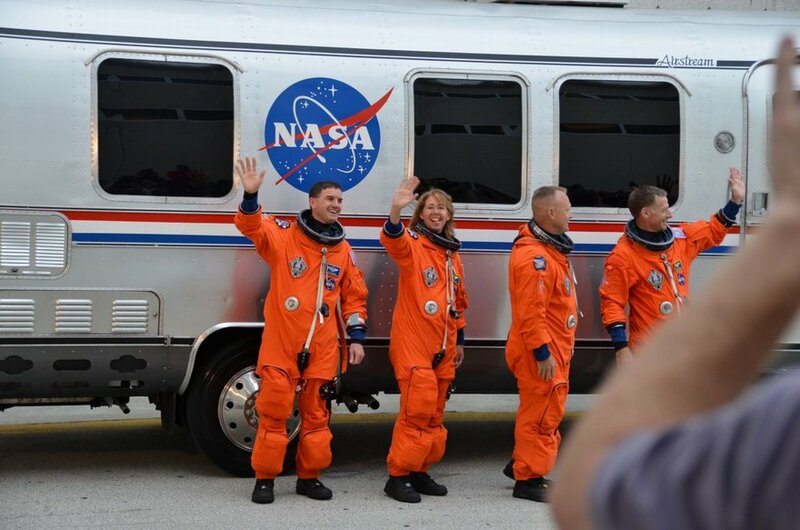 The crew of STS-135 waves goodbye as they board the iconic Astrovan to be driven out to the Launch Pad to launch to space atop 3 million pounds of fuel. Photographer: Steve Pemberton. 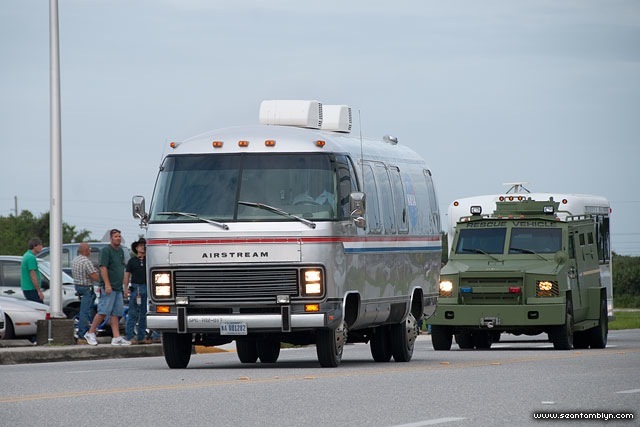 Astrovan as it makes its way out to the launch pad with astronauts aboard protected by an armored vehicle (and, not pictured, a helicopter, two police cars, an APC (armored personnel carrier), and a whole lot of guys with fully automatic guns, as well as a large man named Johann Schmidt with a ray gun; okay, I lied about the last one). Photographer: Steve Pemberton. 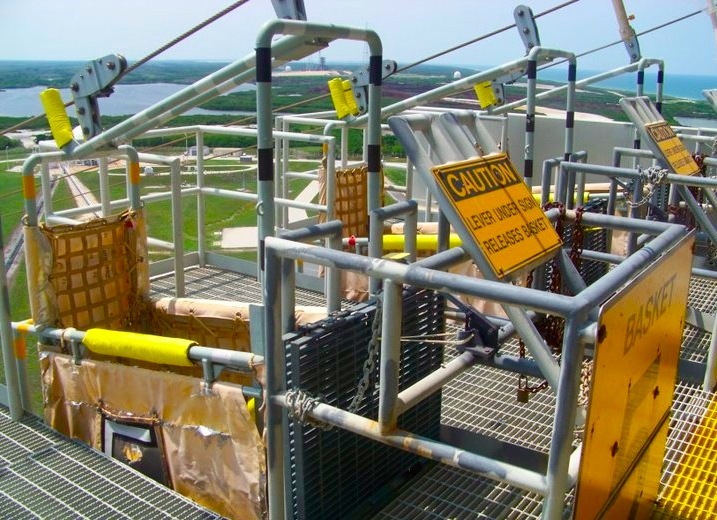 Emergency Launch Pad Egress System carries astronauts in these buckets down a zipline and drops them 1,200 feet west of the Launch Pad in the event of an emergency evacuation. From there, an M-113 armored vehicle comes to pick them up and transports them to a helicopter. Photographer: Malice Wonderland. We have liftoff! Image credit: NASA. 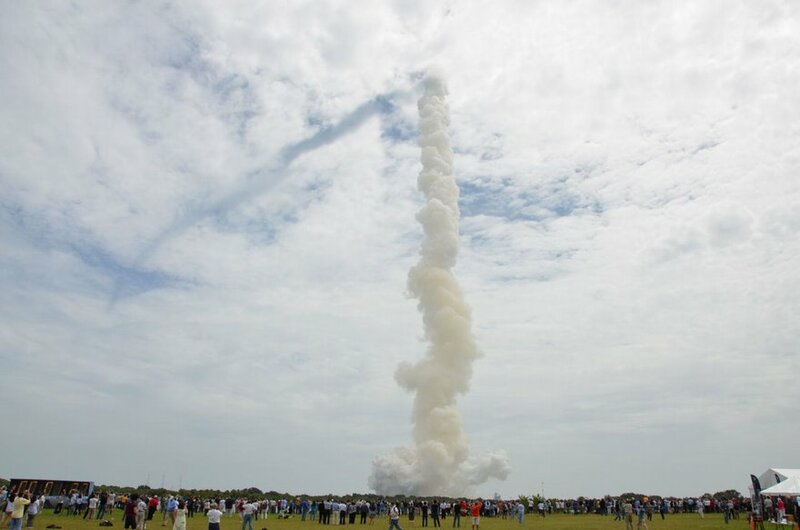 T+ 1:37; View of Space Shuttle Atlantis' smoke trail from the press viewing site. At the bottom left is the Apollo-era countdown clock. Photographer: Steve Pemberton. 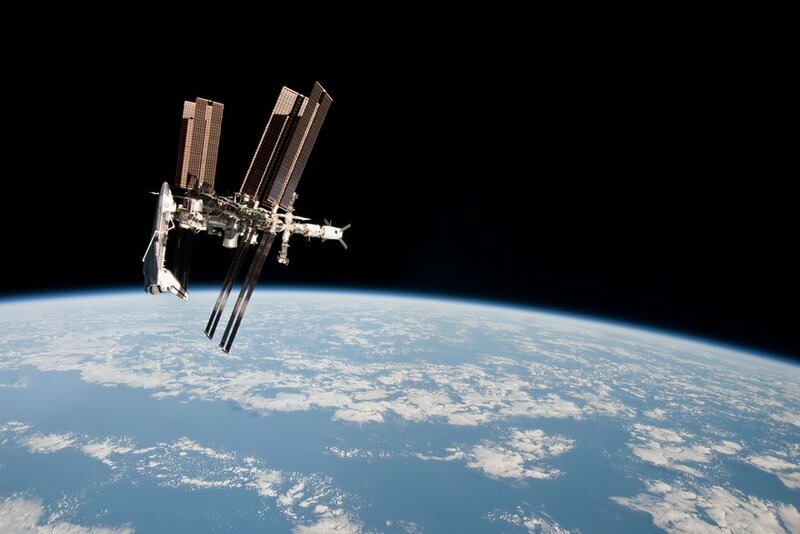 The Space Shuttle docked with the ISS (International Space Station) as they orbit the Earth together. Image credit: NASA. 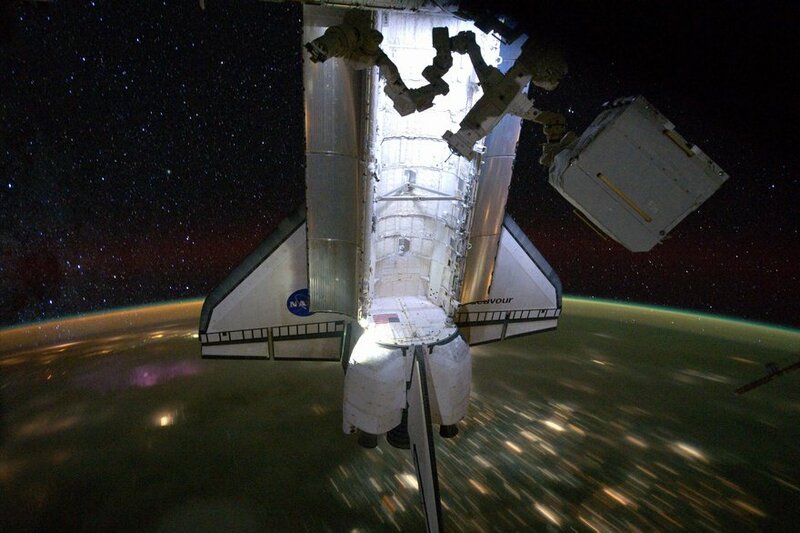 Miraculous time-exposed photo of Space Shuttle Endeavor on STS-134 as it undocks from the ISS for the very last time with millions of stars visible in the background, and the lights down on Earth from its inhabitants below. Image credit: NASA. 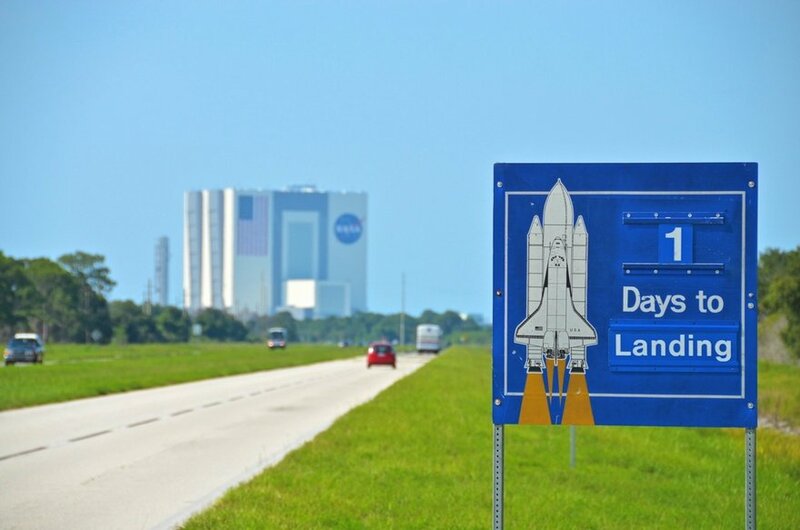 1 day to landing! VAB in background. Photographer: Steve Pemberton. 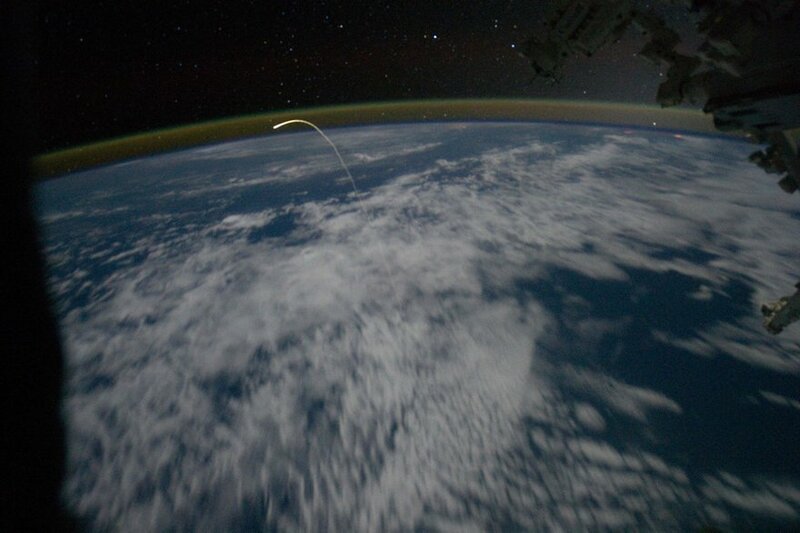 Space Shuttle Atlantis as seen from the ISS as it makes its descent through the atmosphere one final time to land. Image credit: NASA. 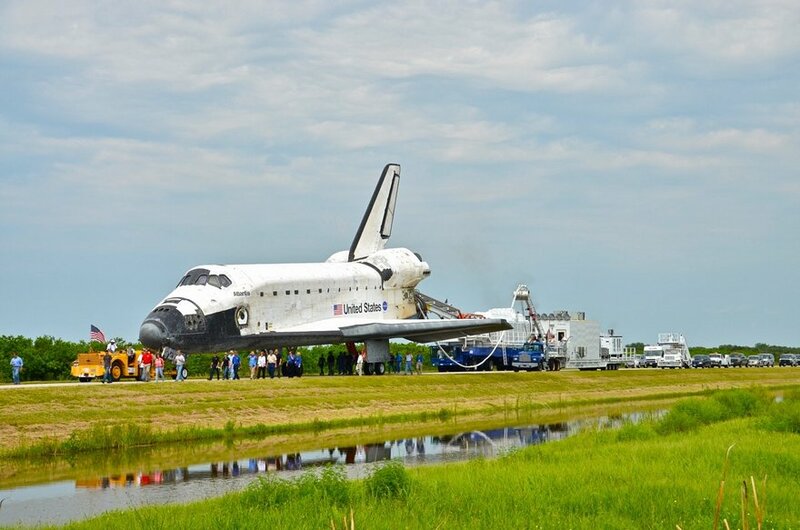 Atlantis is home! And there's a man in the cockpit. These things don't fly themselves yet? Photographer: Steve Pemberton. Atlantis taxing to the OPF followed by its massive convey of support vehicles. Photographer: Steve Pemberton. 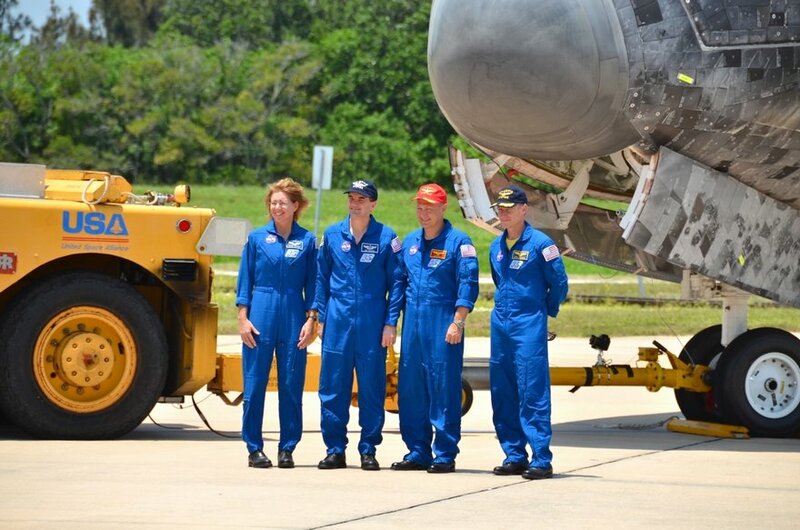 Some NASA employees proudly walking Atlantis back home to the OPF for the final time. Photographer: Steve Pemberton. 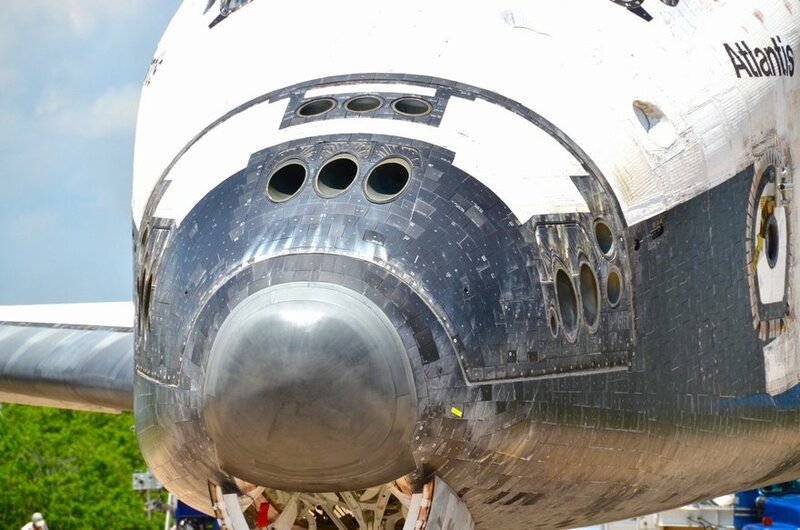 Close-up of Space Shuttle Atlantis' front maneuvering thrusters. Photographer: Steve Pemberton. 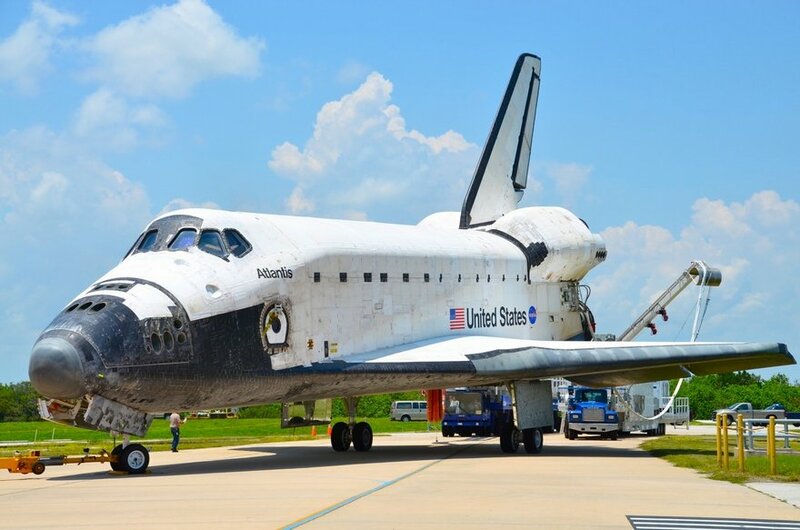 Atlantis parked in the driveway of the OPF (now “The Chop Shop”) to be dismantled. 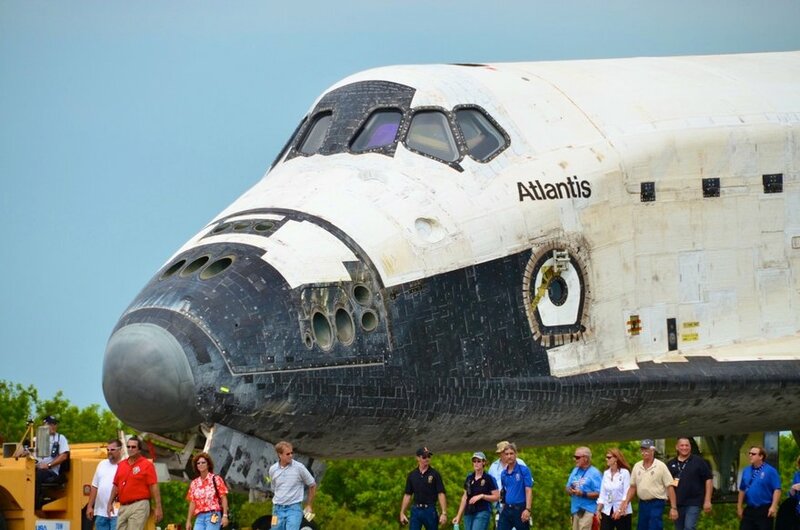 We will miss you Atlantis, as well as all of the other magnificent Orbiters which have inspired our imaginations, opened our eyes and motivated us to do more, become more, and make more of this short existence that we have. Photographer: Steve Pemberton. 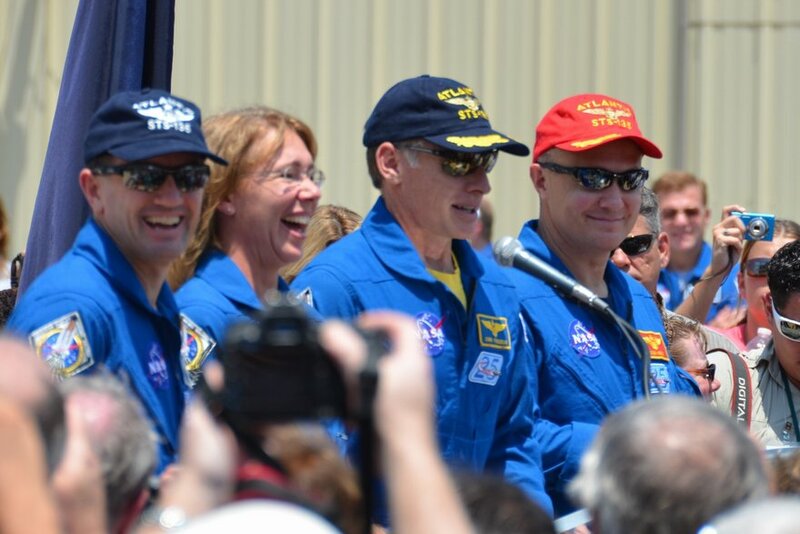 A final send-off from the crew of STS-135, the last Space Shuttle mission, poising in front of Atlantis. Photographer: Steve Pemberton. A job well done. Photographer: Steve Pemberton. Many thanks to writer Logan Kugler and photographers Steve Pemberton and Sean Tamblyn. And, of course, NASA. Visit their websites for more!